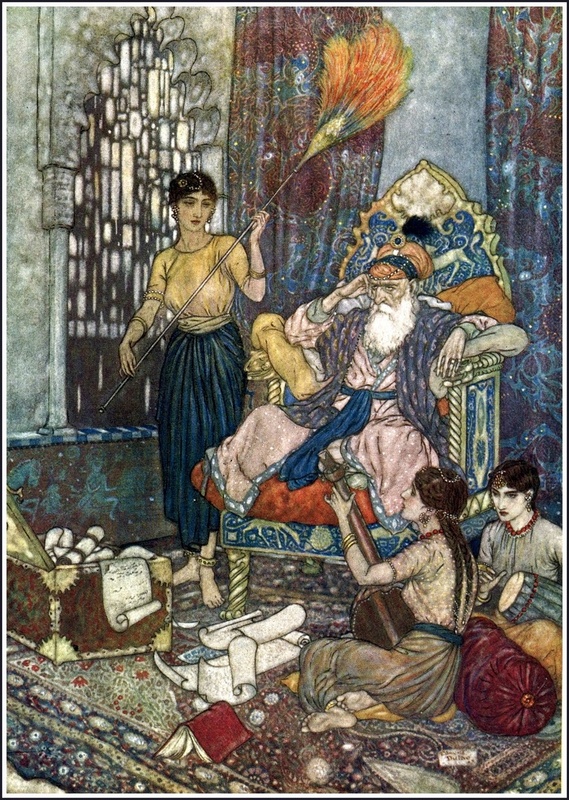 An illustration by Edmund Dulac of Old Khayyam in one of his moods. I hate to see him like this. There seem’d — and then no more of Thee, and Me. This entry was posted in The Rubaiyat and tagged Edward Fitzgerald translation, Rubaiyat quattrains. Bookmark the permalink.